Many people believe the purpose of a business plan is try to raise capital via angel investors or venture capitalists, or to borrow money from a bank. True, however, whether you’re a startup or you’re ready to get on a fast track to scale your business to higher levels, there are many reasons you need a good business plan. Why? You’ll be more successful with a business plan to guide you – it will help manage your growth proactively. But your success depends on a lot of factors. For example, it’s important to analyze economic trends and market challenges. Instead of merely reacting to events and putting out fires, you need a guide so you can be proactive in defining goals and achieving them. 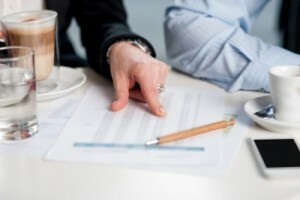 Best practices in management necessitate allocating resources effectively, assigning responsibilities, monitoring progress, and planning cash flow. Unless you’re a magician in achieving growth, growth costs money. That’s where a well thought-out business plan helps. Identify problems, solutions, and resources for strategic planning. A business plan is useful whether you want to grow in your community or whether you want your business to grow globally. Bankers want to see your data and expertise. Angel investors, venture capitalists or participants in crowdfunding will want to see the salient detains before they invest. You need a roadmap to start a new business. It will remind you what you need to do and identify resources for you to achieve your desired outcomes. Businesspeople often need to develop a business plan to give outside experts to determine a value for their business – for a divorce, estate planning, inheritances and tax issues. If you’re in one of these situations, an expert needs to see your business plan to fully understand your business. If you want to sell your business, a business plan will help you deal with all the inherent obstacles. Plus, buyers will need to comprehend the business and its intrinsic value so they can make the decision to buy from you. Let’s say you need to hire a firm for accounting, legal or consulting reasons. Any or all of them might need to see your plan so they understand your business in order to provide applicable services. You might want to explain your business goals with your staff – managers, key employees or even when you onboard new employees. You need to anticipate what you need to do. You might think you can remember everything, but you’ll find that isn’t the case. A business plan will help plan specific goals, track and fine tune them. In a family situation, it helps to share business information with a person who is close to you. Such a person will be in a better situation to understand you and the company. A business plan will aid in your decision-making as it pertains to your short and long-term needs and whether you should be buying or leasing assets. If you plan to grow, chances are you need more human capital. You need to determine your needs in human resources – how it will help, and how many new employees are needed. But as a fixed cost, labor impacts your risk-management strategies, which should include tactics to maintain your culture. Another fixed cost is your monthly obligation for your office and/or facility. A business plan will help you decide whether to incur more expense. If you plan to develop new alliances, you’ll find it helpful to share excerpts of your plan. You should also effectively strategize for a partnership. A critical business factor that’s rarely considered is displacement. In other words, everything you do displaces things you can’t do. A business plan will help you understand how displacement will affect your company so you can better prioritize.